“Being a daughter of a farmer I consider myself fortunate to be in school and thankful to God for letting me be the head girl." 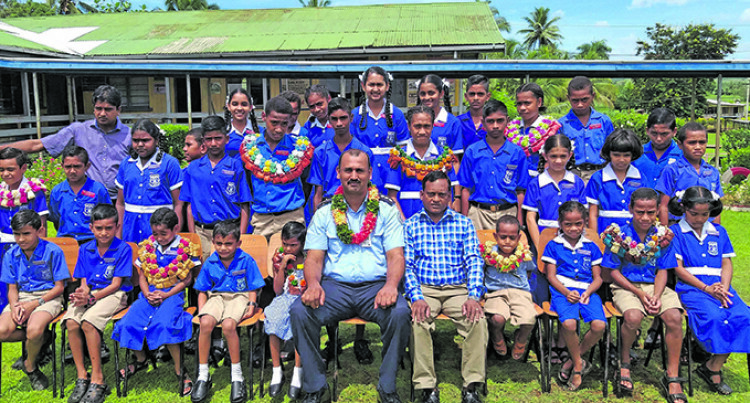 Newly-inducted head girl, of Waiqele Primary School in Labasa, Maria Rairuku, aims to raise the academic results of the school. The 13-year-old of Waiqele, Labasa said the school was located 13 kilometres away from Labasa Town it had opened its doors for many students from a farming background. “I am the second youngest of eight siblings and my father is a yaqona farmer,” Maria said. “Being a daughter of a farmer I consider myself fortunate to be in school and thankful to God for letting me be the head girl. Aspiring to become a nurse, Maria said her third eldest brother was also a head boy in one of the schools in Labasa and she believes leadership qualities run in the family. Meanwhile, the head boy of the school, Prangal Kumar, 13, said he was confident to hold this post because he was a senior prefect last year. “Both my parents are secondary school teachers and they have taught me how to acquire leadership qualities and hence, today I am holding this badge because of them,” Prangal said. Aspiring to become an accountant, the eldest of three siblings said he was also thankful to the chief guest, Divisional Fire Officer Northern Vinesh Kumar who was once a head boy of the school for sharing an inspirational message.